1. How can I get the latest information about Chinese Government Scholarship? 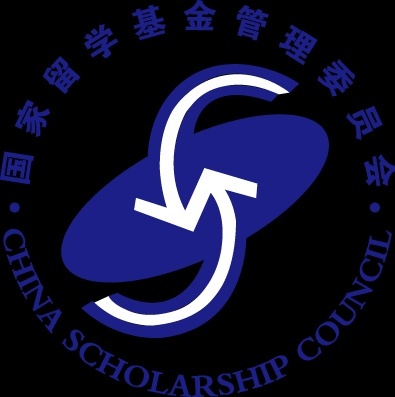 You can get the up-to-date scholarship information by visiting www.campuschina.org or www.csc.edu.cn/laihua. You can also consult the Chinese Embassy (Consulate General) in your home country or designated Chinese universities for your interested information. 2. What programs can I apply for? When and where can I apply? The application opens between early January and early April. You should apply and send the required documents to the application receiving agencies before the deadline. The table below tells you when and where to send your applications. undergraduate or graduate students of meteorology, hydrology, and water resources supervision & management. 3. What are application steps of Chinese Government Scholarship? The illustration below may help you understand the general application steps. There might be minor differences between programs. Please read the introductions to each program for detailed guidance. 4. Can I apply for Chinese Government Scholarship without Admission Letters? Yes. The Pre-admission Letter from a Chinese university is not a necessary application material. Applications enclosed with the Pre-admission Letter will be sent directly to the host universities for placement confirmation. Applications without the Pre-admission Letter will be sent to universities to go through admission procedure. For applicants without the Pre-admission Letter, CSC cannot assure the host university will be one of the preferences of institution, since the capacity of the universities and the eligibility of the applicants will also be considered. 5. Does the Letter of Acceptance or email from the supervisor equal to the Pre-admission Letter? No. Only the Pre-admission Letters (or Admission Letters) issued by the admissions office of designated Chinese universities are considered valid. Other files like acceptance letters from potential supervisors or emails from supervisors or professors shall not be regarded as the equivalent or substitute. 6. What is “Agency Number” and where can I get it? Agency Number is the first required item that must be filled when applying online at CSC Online Application System for International Students. Each Agency Number stands for a specific application receiving agency and will be given to the recommended candidates only. A correct Agency Number will lead to the presence of the corresponding application receiving agency while a wrong one will lead to the application rejection. You will only get your Agency Number from your application receiving agency (e.g. Chinese embassy, AUN Secretariat, etc.) when you are recommended as a candidate. 7. How can I login the CSC Online Application System for International Students?
? Go to www.csc.edu.cn/laihua or www.campuschina.org, and click the icon “Application Online for International Students” to enter the system. ?First-time users should register before entering the online application page. ?Please use Internet Explorer (6.0 or 7.0). Menu selection functions may not work in other browsers. 8. What do I need to pay special attention to when applying online? ?Please select the program CHINESE GOVERNMENT SCHOLARSHIP. ?The item Apply for refers to the program you want to study rather than the degree you have already held. ?Majors should be one of the existing majors offered by Chinese universities and be based on your actual educational background. A nonexistent or improper major input will affect your application result. ?Preference of Institutions must be chosen from 279 Chinese universities designated by MOE. Any institution beyond the list will not be available for recruitment. ?Duration of the Major Study should match the program you apply for. Please check introductions to each program for the specific schooling period.
? Submitted applications can be retrieved for revision. Once retrieved, the previously submitted application becomes invalid. Therefore, revised application should be submitted one more time. 9. How to write a Study Plan or Research Proposal? A Study Plan or Research Proposal states in details what you are going to do with the scholarship in China. It must include such information as the major you want to study in or the field of your research interest. It is of vital importance for those applicants for the graduate studies or senior scholar programs, so please make sure your study plan or research proposal states those information as specific as possible. 10. What supporting documents should be included in my application package? Generally, applicants must fill in and provide the following documents truly, correctly and completely (in duplicate). ?Applicants under the age of 18 should submit the valid documents of their legal guardians in China. ?Applicants planning to stay in China for more than 6 months must submit a photocopy of Foreigner Physical Examination Form ( valid for 6 months). ?Applicants with the Pre-admission Letter/Admission Letter from designated universities should enclose the letter in the application package. ?Applicants with valid HSK Certificate should enclose the photocopy of it in the application package. The above documents should be bound on top left corner (in duplicate) in order. No application documents will be returned. 11. Do I have to register for Chinese-taught programs? ?If you are an undergraduate student, you must register for Chinese-taught credit courses. If your Chinese language proficiency does not meet the requirements of your host university, you must take one academic year Chinese language/preparatory courses in one of the 10 designated universities and pass the required tests before moving on to your major studies. Failure to pass the required tests will lead to the automatic termination of your scholarship. ?If you are a graduate student or a non-degree student, you can register for either the Chinese-taught program or the English-taught program if applicable. You can check Program Search (By visiting www.csc.edu.cn/laihua or www.campuschina.org) to find your interested program. Scholarship recipients of Chinese-taught programs without adequate Chinese language proficiency must take Chinese language training courses for one to two academic years to reach the language requirements of their host universities before moving on to major studies. Failure to reach the required language proficiency will lead to the termination of scholarship. Recipients in programs such as Science, Engineering, Agriculture, Medicine (Western Medicine), Economics, Management, Legal Studies and Fine arts will take Chinese courses for one academic year. Recipients of Literature, History, Philosophy and Chinese Medicine will take Chinese courses for no more than two academic years. Scholarship students of the English-taught program or with adequate Chinese language proficiency (with valid HSK certificate) do not need to take Chinese language training courses. 12. Which Chinese universities are under the Chinese Government Scholarship scheme? A total of 279 Chinese universities are designated by MOE to accept Chinese Government Scholarship students from which you can choose your target university. You can go to www.csc.edu.cn/laihua or www.campuschina.org for programs and universities available. 13. Can I apply directly to Chinese universities for Chinese Government Scholarship? Only the 279 designated Chinese universities under the CGS-Chinese University Program can directly accept individual scholarship applications. You can search your interested university at www.csc.edu.cn/laihua or www.campuschina.org. 14. Can I apply for more than one scholarship program? Yes, but each scholarship recipient can be granted with no more than one scholarship. CSC reserves the right to grant only one scholarship to each individual recipient. 15. How can I know the admission result? The admission result will be announced by the application receiving agencies in late July. You can consult the application receiving agencies for admission result then. How to Increase Earnings in BitLanders – Submit Blogs for Content Review and Other ways!